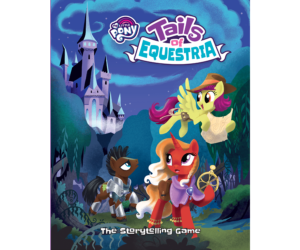 A brand new standalone adventure for Tails of Equestria that can also be connected into a longer campaign with our other adventures. Big challenges. 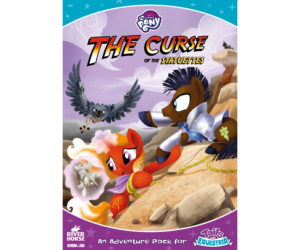 This adventure is for higher level characters (level 5-10), a range that none of our previous adventures have yet covered. 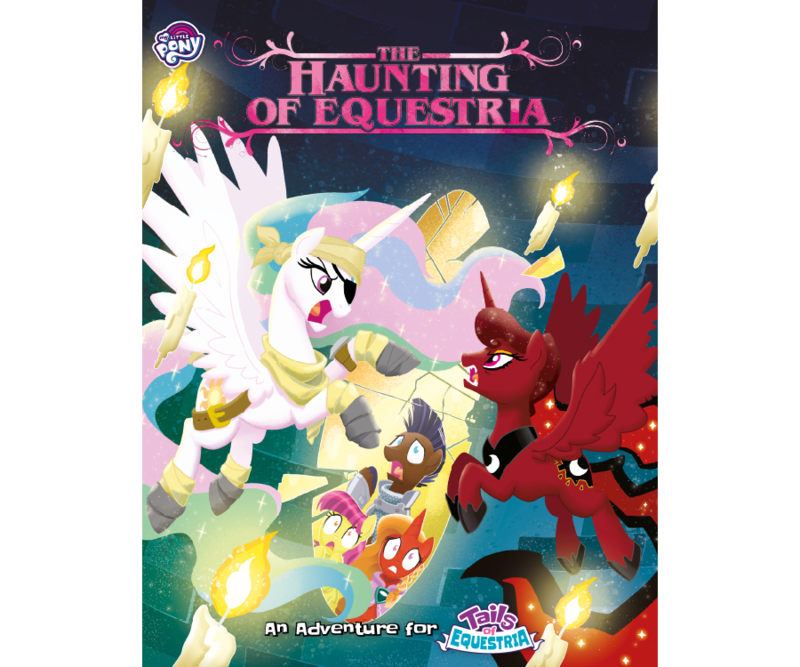 Tons of original artwork, more than any other Tails of Equestria book! An optional rule called Fear Points, and advice for playing spooky stories. Classic villains and heroes! 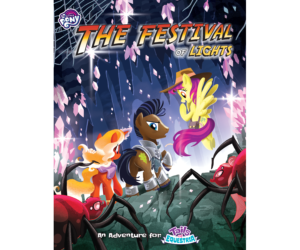 Meet a version of Princess Celestia and Luna from another world, all with game stats and descriptions!